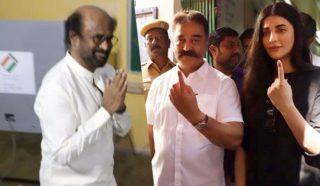 Superstar Rajinikanth and universal hero Kamal Haasan have cast their vote in Chennai and the entire polling is going on peacefully all over Tamil Nadu. Shruti Haasan reached the polling booth at Alwarpet government college with her dad, Kamal and cast their vote. At Stella Mary College, Rajini cast his vote while Suriya, Jyothi and Karthi voted at the nearest polling booth in T Nagar. Also many other actors of Tamil film industry utilised their right to vote at their respective constituencies and polling booth. 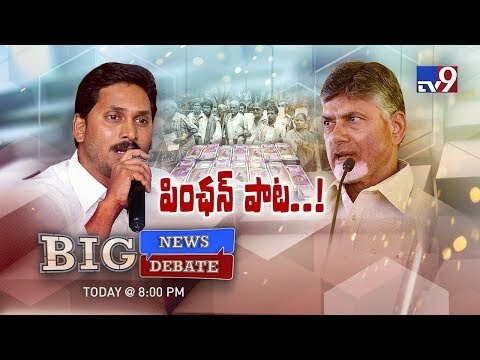 As of 1 PM, 42 percent of voting is reported in Tamil Nadu and this time, the percentage could go higher as much as above 70 percent as per the trend.